Aqib Talib is 32, but still capable of big plays, like this 103-yard interception return for a touchdown last season with the Denver Broncos. He is reportedly on his way to the Los Angeles Rams through a trade. The Los Angeles Rams took an enormous leap forward in 2017, and to further that success in 2018 they are going all-in on a defense more suited to Wade Phillips, the team’s renowned defensive coordinator. Combined with an already-impressive offense, the team’s personnel moves could push the Rams from a nice story to one of the N.F.L.’s best teams. First, the Rams added Marcus Peters, a Pro Bowl cornerback, in a trade with Kansas City that was agreed to last month. Then they traded away Robert Quinn and Alec Ogletree, mainstays of the defense in recent years. 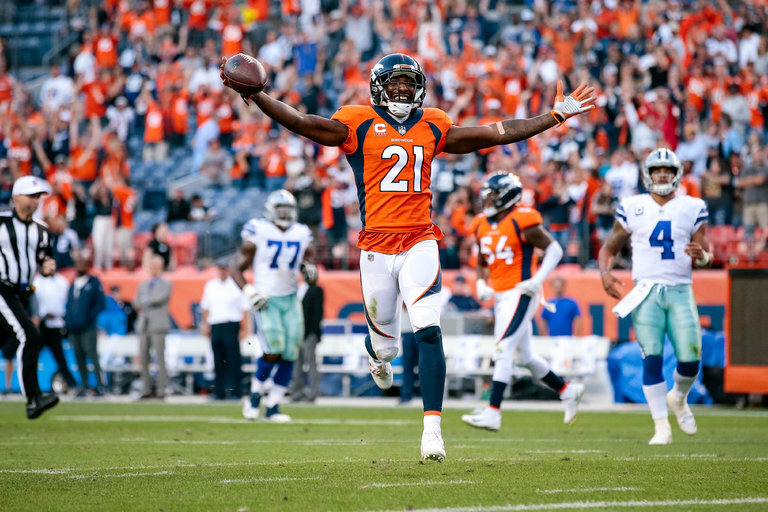 And now, according to multiple media reports, the Rams will reunite Phillips with one of his favorite players from his dominant tenure with the Denver Broncos: the All-Pro cornerback Aqib Talib.